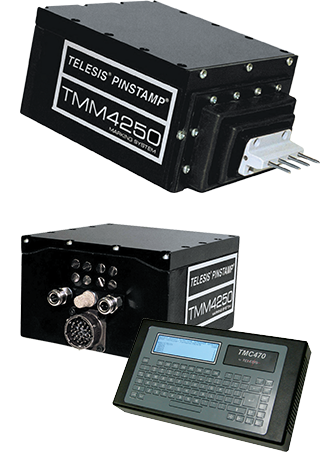 The PINSTAMP® TMM4250/470 Multiple Pin Marking System can mark up to eight characters-persecond. It is ideal for many on-line applications with severe spatial constraints - or in wet or dirty environments. The TMM4250 marking head features an extremely compact envelope and provides marking windows up to 0.5" x 2" (13mm x 50mm). It can be easily integrated within a wide range of manufacturing settings. A NEMA 12 (IP55) enclosure with industrial grade, protective rubber "boot" makes it highly resistant to both solid and liquid contaminants, including machine tool coolants.